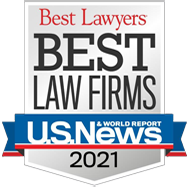 Williams Coulson is pleased & honored to receive a Tier 1 ranking in the 2014 Edition of U.S. News – Best Lawyers® – Best Law Firms®. Daniel Johnson and Mary Jo Corsetti have been named a 2014 Five Star Wealth Managers. Daniel Johnson and Mary Jo Corsetti have been named a 2013 Five Star Wealth Managers.